A special afternoon for people living with dementia, their friends, families and carers. 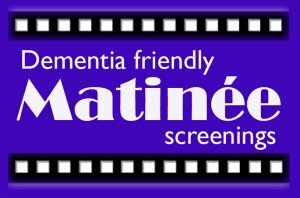 £4 for those with dementia, and the carer/friend/family member comes free. 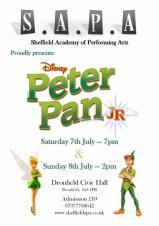 To book tickets please call 07449 732322 or email booking@matineederbyshire.org.uk. With the brand new play area at Cliffe Park, already proving popular with local residents, this summer's Dronfield Gala is set to be bigger and better than ever. Taking place on Sunday 1st July between 1pm and 4pm, there will be a host of activities available for all the family. 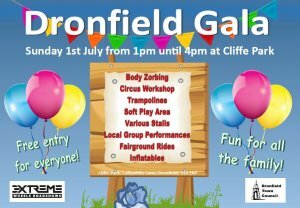 Organisers Dronfield Town Council, have arranged some new attractions for 2018 which include trampolines, Extreme Wheels Body Zorbing and for younger visitors there will be a free soft play area within Gosforth Lodge. In addition to this the ever popular classic circus skills workshops will be back to help you improve your juggling plus much more! Entertainment will be provided throughout the afternoon in the central arena. This year, regular groups Dance Dronfield and Dancedaze, will be joined by a variety of new local groups demonstrating their skills, which includes the Dronfield Singers, Dronfield Karate Club and Dronfield Boxing Club. Dronfield Genquip Band will give a musical display at the beginning of the Gala, following the official opening by Town Mayor, Cllr. Philip Wright. There will be a fantastic selection of stalls available on the day and great selection of fairground rides and inflatables for all ages. Don't forget the best thing is that admission to the Gala is free for everyone! Dronfield Floral Art Club present "These are a few of my favourite things"
Admission is £10 and tickets can be obtained by calling 07977 708 642.